I’ve done it! Found the perfect bronzer that’s just the right shade with powerful stay power. 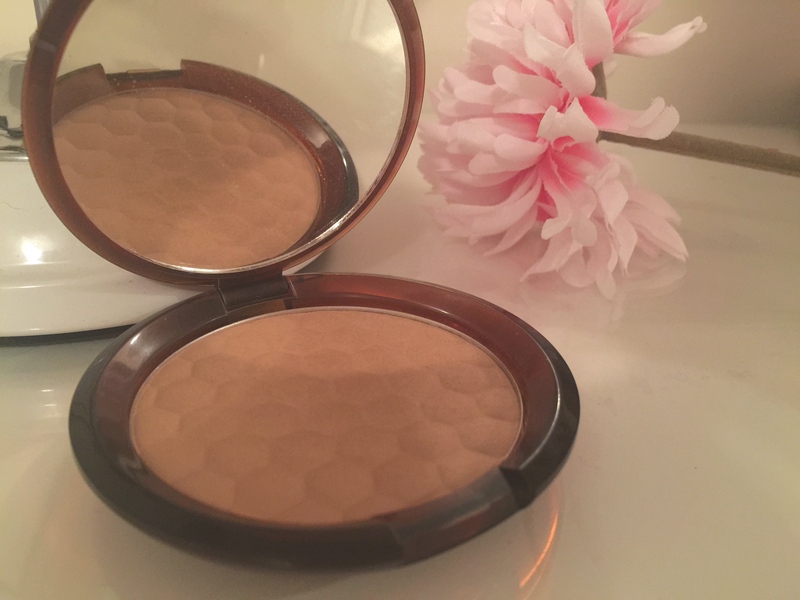 I’ve tried my hand at drug store bronzers and high end bronzers, but have never had as much success as I’ve had with The Body Shop’s Honey Bronze Bronzing Powder in the shade 03. This perfect compact hold the most wonderful matte powder with the slightest sun-kissed shimmer. It’s capable of a great buildup but will never make you look orange! I’ve really struggled with that recently. I’ve used tiny bits of other bronzers and left looking like an oompa loopa, but I’ve even managed a natural looking contour. I can’t say enough how natural it is and how easy it is to use! I put just a little bit in the hollows of my cheeks with my chubby Sephora Bronzer Brush and for a natural slight contour I use my Real Techniques Bold Metal Contour Brush. It’s been a very long time since I’ve found a product I love to use every single day for this long – I picked this one up almost a year ago. And friends of mine have used it for several years; replacing it the moment it’s finished! Now that gotta say something! That speaks for itself! I’ve heard great things about The Body Shop’s other Honey Bronze products, but have never tried them myself. They’re top of my list of next to try! Have you ever tried the Body Shop’s Honey Bronze products? Thanks so much! Your blog is wonderful! I’d love to work together!